Scouts is a great chance to make new friends outside of school. Spending time camping or hiking with others your own age is a fun way to get to know people. 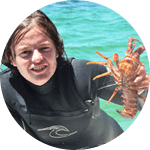 You might even get the chance to travel to another part of Australia or even another part of the world. Scout Jamborees are amazing events where around 10,000 Scouts come together to camp, do challenging and fun activities like abseiling, obstacle courses, scavenger hunts, and lots of water activities. 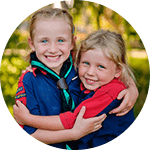 Every three years Scouts Australia holds its Jamboree, but in between are state events for hundreds or thousands of Scouts. Australian Scouts can even travel to Jamborees all over the world. You’ll be surprised at how many great friendships you can make at Scouts. Scout families are welcome to get involved too! 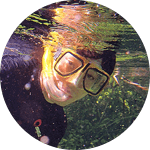 There’s lots of opportunities for the whole family to make new friends and feel part of the community. Action is at the core of all Scouting activities. Whether they are tackling a river in a kayak or learning how to set up a tent, our program ensures that our Scouts never stand still. At your weekly meetings you’ll learn the skills you need to plan, prepare and go on adventures, and by the time you’ve been a Scout for a few years, you’ll find yourself being able to take yourself on three-day hikes – just you and a group of your Scouting friends. You even get to choose your own menu and cook it outdoors yourselves! At Scouts you’ll become a member of a Scout Patrol with approximately six other Scouts. Your Patrol will work with other Patrols to form a larger Scout Troop. Together you’ll make important decisions, set critical goals, and depend on each other to succeed. Scouting is youth-led, adult-supported. As a Scout, you get to choose what you want to do, and your Leaders are there to support and advise. 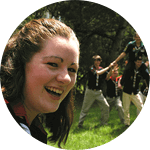 Leaders are often amazed at the fantastic and fun ideas that Scouts come up with regarding what they want to do each term. 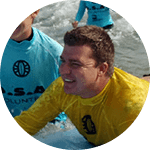 Scouts wear a blue polo or button up shirt with green sleeves. They will also be given a scarf and badges to sew on the uniform when they join. 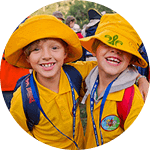 Scouts can earn dozens of badges covering a multitude of interest areas. There’s sure to be something that takes your interest. When you first talk to the Scout Leader about joining, they will give you information about what to wear and bring to your first meeting. You can buy your Scout uniform at Scout Shop.